RISA-2D is Easy to learn, and powerful to use. With an intuitive interface and familiar spreadsheets, you can solve your next problem in minutes, not hours. Quickly analyze everything from simple beams and trusses to shear walls with openings. Break problems down to Their Basics and go. Packed with the Most Current steel, Concrete, Cold-Formed steel, timber and Design Codes, RISA-2D Gives you the tools to tackle multi-Material Projects with confidence. 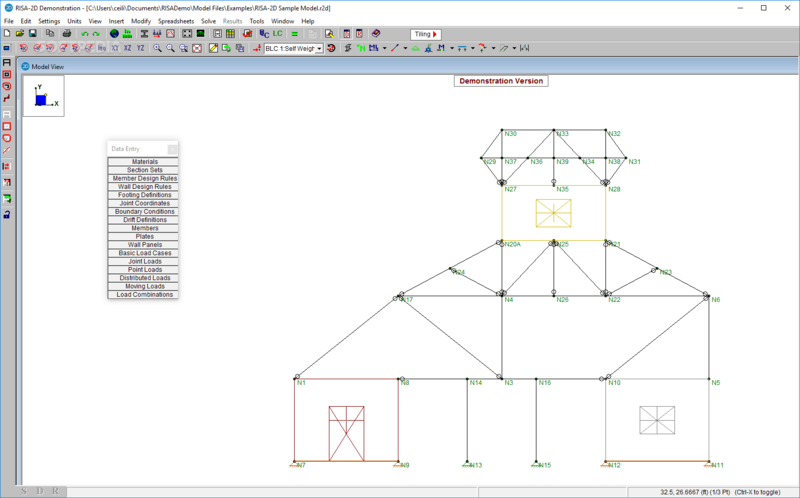 Features such as advanced flexible rules and Design A Custom Concrete Layout Editor allow the engineer to control the Design, not just the program. Review your results for the Entire model graphically, or member View Detail Reports to See results Analysis and Design Calculations (Including Sketches Rebar with callouts) for each member.